Fat is one of the three macronutrients; the other two are protein and carbs. 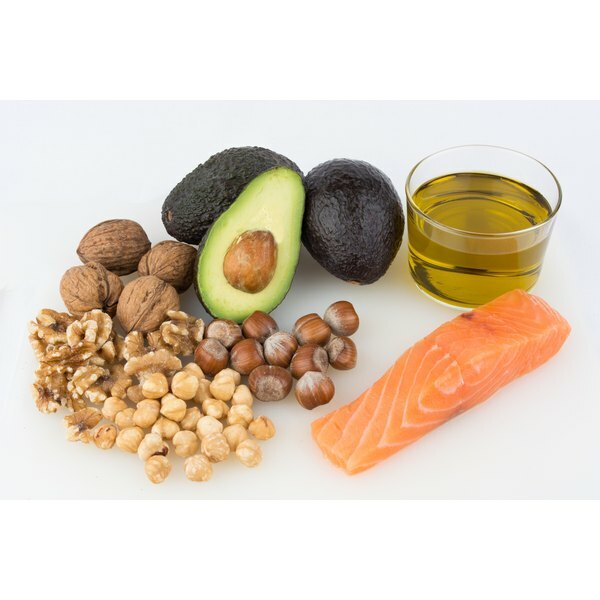 When it comes to foods, there are two types of naturally occurring fats--saturated and unsaturated. Unsaturated fats are composed of monounsaturated and polyunsaturated fats and they are beneficial to the body. Saturated fat on the other hand, can raise heart disease risk. Nuts and seeds are high in unsaturated fat, protein, fiber and they are low in carbs. Walnuts, almonds, sunflower seeds, pecans, pumpkin seeds and pistachio nuts are all examples. Although nuts are calorie dense, they are also beneficial to the body. According to the FDA, scientific evidence suggests but does not prove that eating 1.5 oz. per day of most nuts as part of a diet low in saturated fat and cholesterol may reduce the risk of heart disease. Avocados are fruit high in monounsaturated fat and also high in fiber and potassium. A 7 oz. avocado has nearly 30 g of fat and 14 g of fiber. Only four of those 30 g are saturated. Fish is low in carbs and high in protein. Cold water fish is also high in fat. It is an unsaturated type known as omega-3 fatty acids. According to the University of Maryland Medical Center, omega-3 fatty acids play a crucial role in brain function as well as normal growth and development. You can find these fats in fish like salmon, herring, mackerel, tuna and halibut. Flax seeds and walnuts also contain omega-3s. Oils are high in fat and they are used in multiple applications such as cooking, dips, salad dressings and marinades. Olive oil, peanut oil, sunflower oil and cottonseed oil are examples. According to the Mayo Clinic, olive oil contains a potent mix of antioxidants that can lower your "bad" (LDL) cholesterol but leave your "good" (HDL) cholesterol untouched. However, coconut and palm oils are high in saturated fat. Saturated fat can be found naturally in multiple foods that derive from animals. Beef, pork, eggs, dairy products, butter, lard and dark poultry meat are examples.